Around 300 Apple engineers are reportedly working at a dedicated manufacturing facility to design and produce MicroLED screens for future Apple products, starting with the Apple Watch. Apple might, for the first time, be working to design and produce displays in house. The Cupertino tech giant is reportedly using a 62,000 sq ft manufacturing facility in Santa Clara to develop MicroLED displays for future products such as iPhones, iPads and Apple Watches. Bloomberg reports that sources close to Apple's display project say the technology is in advanced stages after Apple nearly killed it off a year ago. Things have since improved and the report goes on to say that Apple has now made “a significant investment” in MicroLED displays. MicroLED displays were spotted at CES this year, with Samsung introducing a 146-inch behemoth MicroLED TV called The Wall. Just like OLED, Microscopic LEDs are self illuminating, but contrary to OLED, they are made up of inorganic materials and hence provide darker blacks and improved peak brightness, all while requiring less power than OLED. 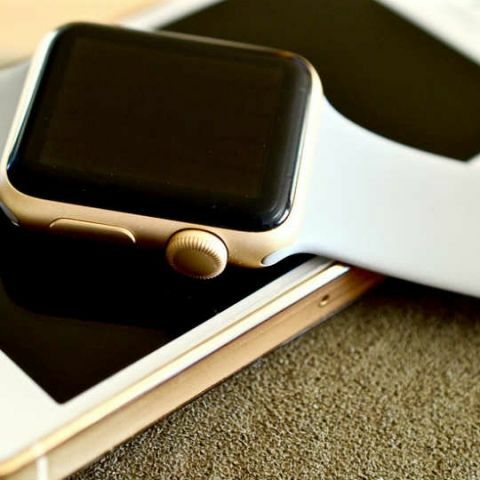 If the report is to be believed, the Apple Watch will be the first Apple product to feature the company’s own MicroLED display technology. However, it also mentions that consumers might have to wait a few years before seeing the technology in action and in their hands. Apple’s display initiative could help the company boost its products and compete head-on with the likes of Samsung when it comes to providing cutting-edge displays. Apple could benefit highly by becoming self reliant as far as display tech is concerned. Currently, Apple uses Samsung’s OLED display technology on its flagship iPhone X. For the Apple Watch, the company sources OLED displays made by LG. With the switch to MicroLED on the Apple Watch, LG stands to lose over $200 million dollars in business. Sharp and Japan Display will also lose financially once Apple starts full-blown production of its own MicroLED displays. 300 engineers are said to working on Apple’s ambitious MicroLED display technology. The facility in Santa Clara, California is said to be situated on an unmarked road, a 15-minute drive from the Apple Park campus, where the company has also set up a special area for the process of “growing” LEDs.